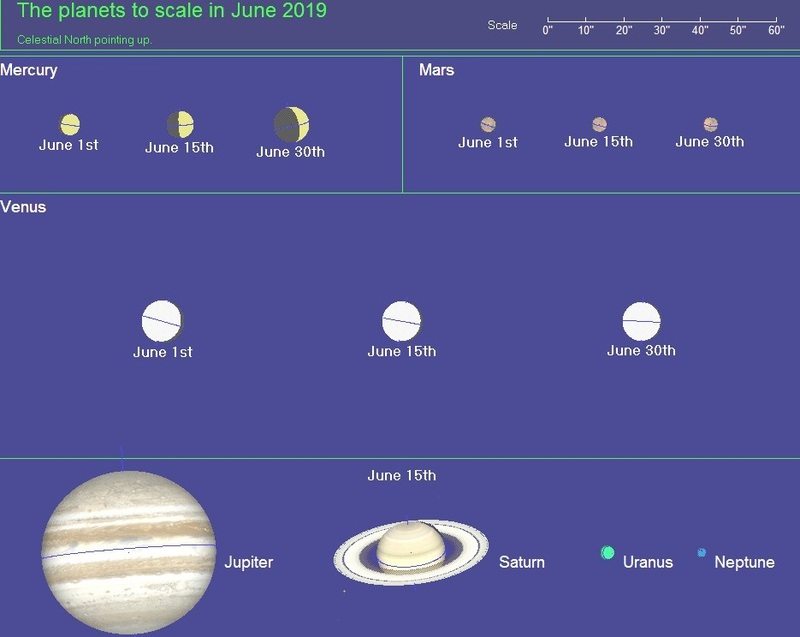 The angular size and the appearance of the planets compared. JUNE, 2019. Click the image to enlarge, if needs be.